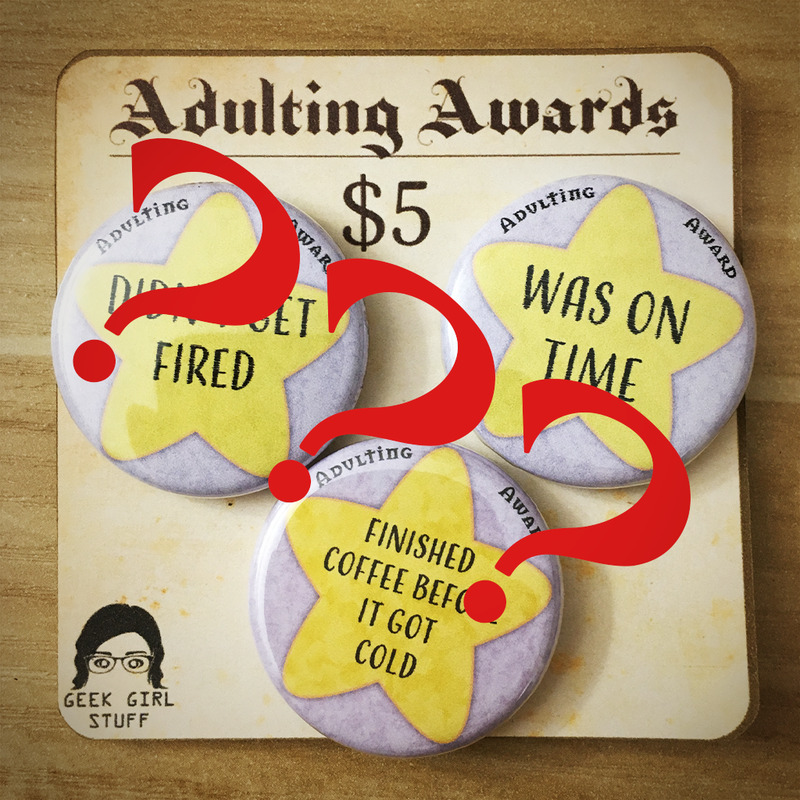 1.25″ Adulting award 3-pack CUSTOMIZE your own! | Buttons, Magnets, & Keychains – Geek Girl Stuff – Geekery, art, jewelry, and more! 1.25" Adulting award 3-pack CUSTOMIZE your own! Use the fields on the right to tell me which buttons you would like!